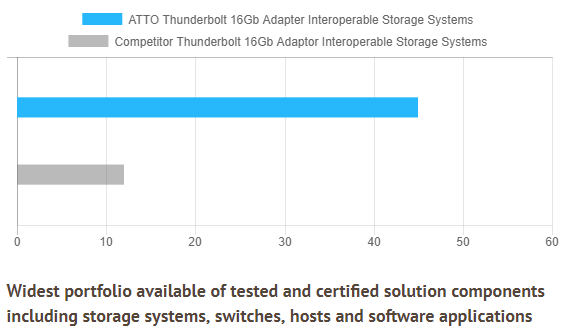 The ATTO ThunderLink FC 3162 acts as an external Thunderbolt 3 to Fibre Channel adapter, connecting Thunderbolt enabled workbooks and mobile workstations to 16Gb/s Fibre Channel networks and storage devices. 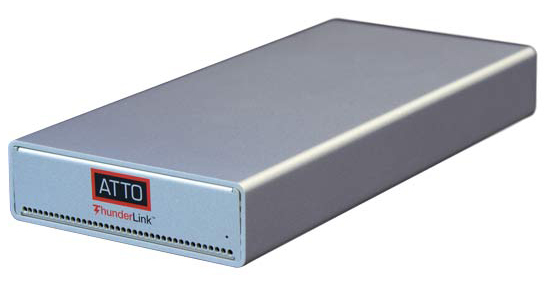 With dual channel configurations, the 16Gb/s Fibre Channel ThunderLink is an ideal solution providing support for failover and load balancing through ATTO's exclusive MultiPath Director. 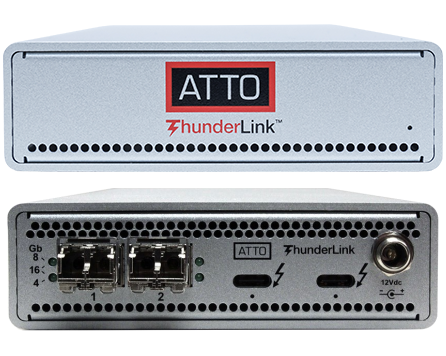 With the combined power of Thunderbolt 3 and ATTO's time-tested history with Fibre Channel users can achieve the highest I/O and data throughput for advanced video and access to IT applications. 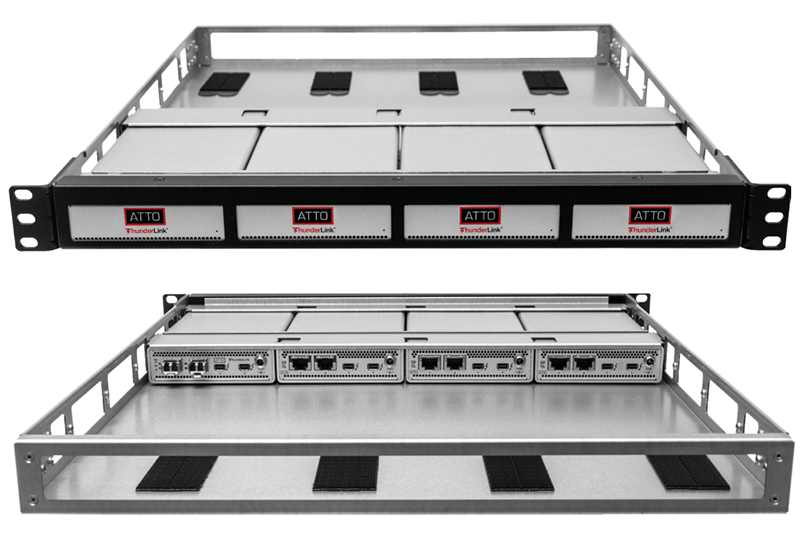 ATTO has over 30 years of experience developing high performance and reliable Fibre Channel storage connectivity solutions. 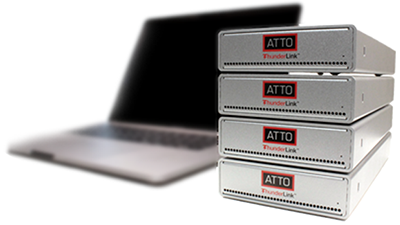 ATTO ThunderLink Fibre Channel products provide creative professionals using Thunderbolt 3 enabled hosts, cost effective access to Fibre Channel networks and storage not previously available using FireWire or USB. The integrated family of ThunderLink products boasts an extensive list of customer design wins and certifications with respected industry partners.